AirFlow Technology, founded in 2004 to provide creative and affordable home comfort solutions. These products enhance indoor air quality, comfort and energy savings. AirFlow Technology brings together the talents of Bernard Pierce, Larry Elkins and Chris Pierce. President Bernard Pierce has worked in manufacturing and supplier management roles around the world for more than 35 years, establishing new plants in Singapore, the United States and Mexico. Pierce has received numerous awards, including the Distinguished Hoosier Award from Governor Frank O’Bannon, and the Outstanding Leadership Award from the Indiana Electronics Manufacturing Association. Vice President Operations Larry Elkins has over 36 years experience in IT systems development and supply chain management. 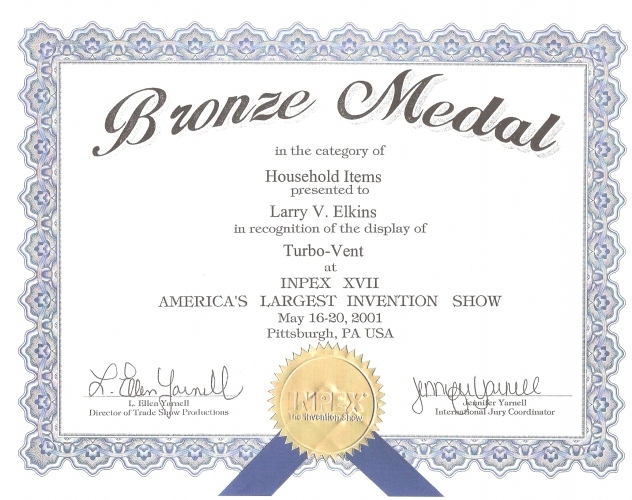 In 2001 Elkins was awarded the Bronze Medal in the Household Items division at the INPEX XVII, the world’s largest invention show. Elkins holds the patent that is the basis for the Air Flow Technology product initiative. Vice President Product Development Chris Pierce has over 12 years experience in technical, business development and management roles in specialty chemical and environmental management firms providing service to the automotive and industrial manufacturing industry.